Need a Fire Risk Assessor in Leeds? If your premises or business activities are complex, you may not feel confident in fully assessing the risks involved. Many businesses are unable to commit the time and effort required to complete a fire risk assessment properly. This is where Fire Protection Services Leeds can help. 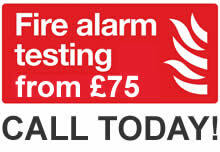 We offer professional fire risk assessments at affordable prices throughout the Leeds UK. Call Rick Ryan for a no obligation quote on 0113 821 4642. If you feel competent to carry out your own Fire Risk Assessment it is important to do in a systematic and practical way. Our Fire Risk Assessment template will help you to do that and improve fire safety for your business. Suitable for all business types large or small. Fire Protection Services Leeds supply and service fire extinguishers in Yorkshire including Adel, Arthington, Alwoodley, Addingham, Boston Spa, Bramhope, Burley in Wharfedale, Ben Rhydding, Baildon, Chapel Allerton, Cookridge, Collingham, Farnley, Guiseley, Headingley, Horsforth, Huby, Harrogate, Harewood, Ilkley, Kirkstall, Leeds, Meanwood, Menston, Moortown, Oakwood, Otley, Pool in Wharfedale, Rawdon, Roundhay, Skipton, Silsden, Shipley, Weetwood, West Park, Wetherby, Yeadon. 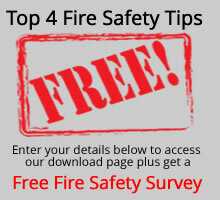 Companies overlook fire safety at their peril. Not only can it endanger life, but it is an unfortunate fact that 40% of businesses do not recover from a serious fire. It is therefore recommended that a Contingency Plan (Disaster recovery) be put together, in order to ensure a minimum of disruption to business. The Fire Safety Order states all businesses must have a Responsible Person who has a duty of care to ensure the premises are safe for staff, clients/ customers, visitors, people with special needs and children. This person must be competent. We recognize that your needs will differ from anyone else s and we will discuss your ongoing fire safety requirements and then provide you with a quotation. Fire Protection Services will go that extra mile for our clients. This can be particularly important for small or new businesses with limited time, management capacity or financial resources available.